Traditional wisdom indicates that certain times of the year are better than others for selling your home. Historically, Spring is one of those times. Below are 5 reasons for why selling during Spring makes sense. According to the March 2018 Buyer Traffic Report (National Association of Realtors), buyer demand has remained strong throughout most of the country since May of 2016. This indicates that buyers are ready, willing, and able to purchase and are in the market RIGHT NOW! Take advantage of this buyer activity currently in the market. Housing inventory has been declining for the last few years and the 6-month supply needed for a “normal” housing market is still not in sight. Basically, this means that for most of the country there are not enough homes on the market to satisfy the number of buyers. If you are a homeowner who has gained equity in their home as values have increased this is good news. As those home values continue to increase, more homeowners will be in a better position to move. Buyers will also begin to have more choices as those values increase. Don’t wait until more inventory comes into the market before you decide to sell. Given today’s competitive environment, buyers must do all that they can to stand out from the crowd. Often this means getting pre-approved for their financing. By doing this, the entire process is much faster and simpler because buyers know exactly what they can afford before shopping for a home. This competitive nature and level of preparedness on the part of the buyer has contributed to keeping the average time to close a loan at 45 days. Is your next “dream” move into a luxury or premium home? Right now, the inventory for these types of homes is such that these markets are considered a buyers’ market. This means that if you are planning on selling your first or starter home, it will sell fast AND you will be able to find a luxury home for yourself. Waiting to move into that higher priced home will cost you more (both for the down payment and mortgage payment) the longer you wait because prices are projected to appreciate as much as 4.8% over the next year (www.CoreLogic.com). What are some of the reasons that you are thinking of selling your house? Would you rather be with family or have more money? Is your health more important than money? Is the freedom to move on with your life worth more than having money? You are the only one who can answer these questions and the answer may be different for everyone. 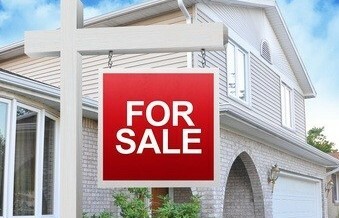 Selling your existing home might be the key to unlock the potential for the rest of your life. Don’t wait! Take control of the situation and put your home on the market.